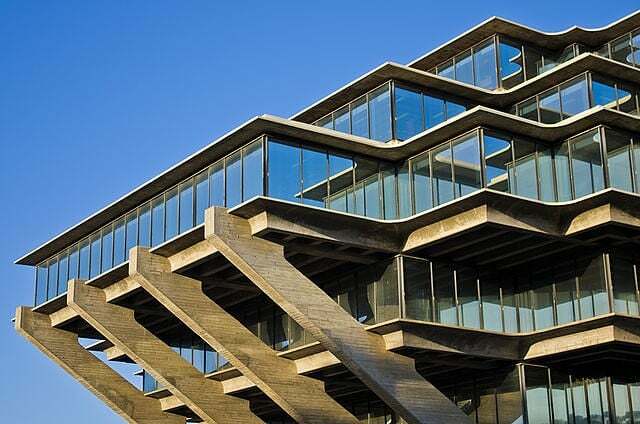 One year ago, the UCSD Guardian met with University Librarian Brian Schottlaender to talk about the role he plays in maintaining one of UCSD’s most iconic buildings, Geisel Library. In the interview, Schottlaender revealed plans first conceived in Fall Quarter 2015 to build a cafe inside Geisel. 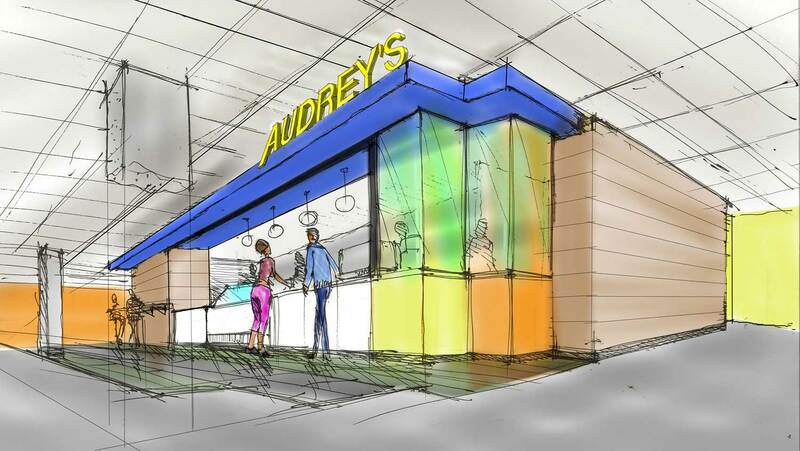 With the new coffee shop, Audrey’s, which is slated to open this spring, Geisel Library is about to witness the first of several renovation plans meant to bring the library into the new era of modern technology. “I’ve wanted to open a cafe in Geisel Library for many years, and others — including our students — have also wanted this,” Schottlaender told the Guardian. Following a generous donation of $3 million from Audrey Geisel, wife of the library’s namesake, Ted Geisel, better known as Dr. Seuss, Schottlaender began developing plans for a multilevel update of the building. Schottlaender and Sports Facilities, which will be managing the cafe, originally mentioned a desire to partner with local businesses and to incorporate sustainable practices into the new cafe. The vision is set to become a reality: A recent announcement said that Audrey’s coffee, tea and food will be supplied by two local businesses, Cafe Virtuoso and Bread & Cie.
Cafe Virtuoso is a Barrio Logan-based coffee roaster whose mission is “to procure, roast and deliver the best quality coffee in San Diego.” It offers dozens of coffee varieties from South America and Africa as well as a small array of unique teas. All of its products are also Fair Trade and organic. Founder Laurie Britton started the company in 2007 in a garage-sized lot with help from fellow teammate Rigo, whose commitment to promoting responsible business practices led to the founding of Fair Trade San Diego, an organization that aims to educate students and San Diegans about Fair Trade while promoting local businesses. Located in Hillcrest, Bread & Cie was started by Charles Kaufman, a New Yorker who wrote and directed “B-list” horror films before turning to bread making. Kaufman prides himself in opening the first artisan-bread bakery in San Diego. Bread & Cie’s breads take days to prepare, using Old World European methods of dough rising, and he donates all leftover food to local San Diego homeless groups and women’s shelters at the end of every work day. Kaufman’s bakery, which is open 364 days a year, will be providing various baked goods and sandwiches to Audrey’s. In addition to the cafe, Audrey Geisel’s donation will fund further improvements to Geisel’s second floor, including new research spaces, a revitalized lobby, technology enhancements and upgraded furniture and finishes throughout the floor. Some of these changes, such as new carpets and additional computers, have already been integrated into the east wing of Geisel’s second floor, with the rest to be completed after Audrey’s Cafe opens. However, this is not where Schottlaender’s vision for Geisel Library ends. “Our primary motivation in refurbishing the interior public spaces of Geisel Library is to bring things up to a level that meets the current and ever-evolving needs of our students and faculty,” Schottlaender told the Guardian. To achieve this, the Schottlaender also intends to renovate the first and eighth floors of Geisel Library, which will cost a total of $4 million. However, funding still needs to be obtained for the additional projects. According to the Geisel Library Revitalization Initiative page on the library website, the first-floor update will turn the space into a “high-end Media & Digital Scholarship Commons,” complete with “new data and visualization technologies” and new furniture and finishes. While Schottlaender is excited about both projects, further details will not be announced until Audrey’s Cafe is completed. Schottlaender encourages students to check out the Geisel Revitalization page below for more information on the projects slated to improve the library’s spaces.